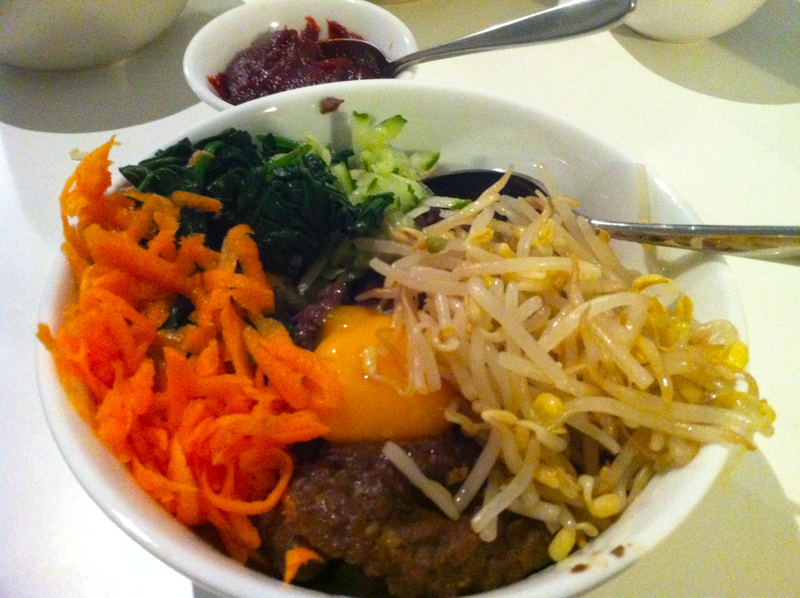 I love Korean food, and even something as simple as bibimbap is so satisfying. 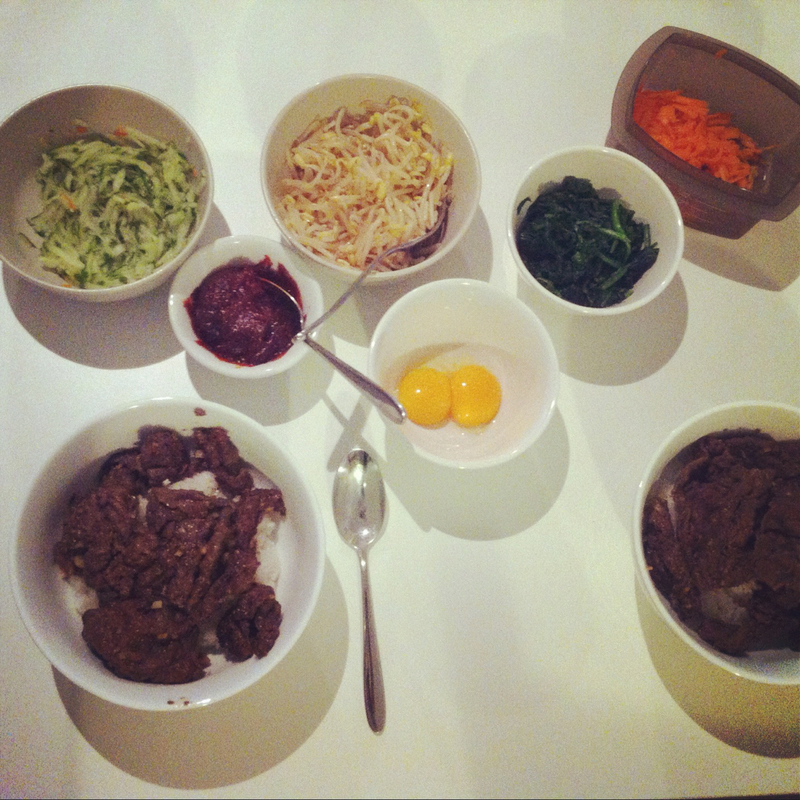 I can almost never go past it at Korean restaurants, so we tried making it at home for funsies. Mark bought some ready-marinated bulgogi from the Korean butcher near his work, which he barbequed up and we served it up over cooked sushi rice. We had a spread of pickled grated cucumber, bean sprouts cooked with sesame oil, wilted spinach, pickled grated carrot, raw eggs, and a generous helping of gochujang. Simple, delicious, and very nutritious! Hello summer – we missed you! The bowl was slightly too small for my massive appetite, hence the overflowing! Ha!